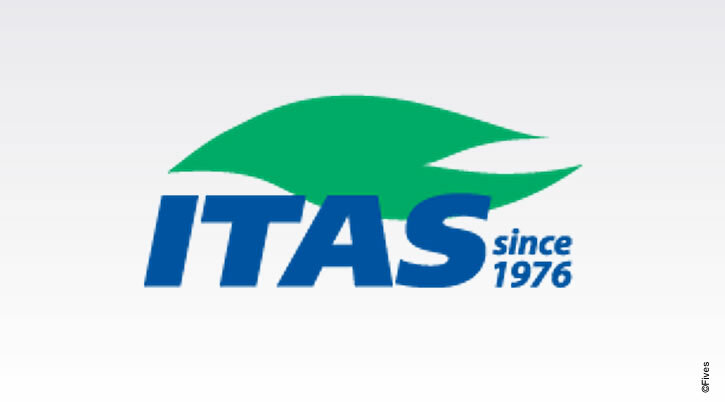 Paris, January 31, 2014 - Fives has successfully completed the acquisition of ITAS, an Italian Combustion applications specialist. This operation allows the Group to enrich its Combustion offer, with applications mainly dedicated to the Oil & Gas sector and environmental solutions. Thanks to its reliable, safe and efficient equipment and solutions, ITAS has gained a solid reputation and serves a loyal client base, mainly international players active in the Oil & Gas industry. ITAS has supplied more than 10,000 installations worldwide in its 38-year history. ITAS, located in Monza near Milan, employs 60 people and generates annual sales of approximately €25 million. Fives North American and its subsidiaries, present in North American and Europe, specializing in industrial combustion processes and furnace controls. This acquisition allows Fives to broaden its current Combustion portfolio, to cover new end-applications, with a strong focus on the Oil & Gas industry, which represents 2/3 of ITAS' activity. The acquisition of ITAS also strengthens Fives' geographic portfolio in Combustion. ITAS will enjoy improved access to previously untapped markets, such as North America, where Fives' Combustion group has already built a strong presence and reputation. Through Fives' worldwide presence, it will also be able to develop local assistance and service to better support its clients. This transaction also creates potential for commercial, technological and procurement synergies. The combination of the companies' technical expertise and experience will be particularly important as a catalyst for further development on process burners and environmental solutions. With its acquisition of ITAS, Fives has further increased its presence in Italy, where the Group benefits from the assets of this country known for its excellence in mechanical engineering. Italy now represents Fives' 4th most important location after France, the United States and China. In Italy, in September 2013, Fives acquired OTO, a supplier of high performance mills for the production of welded tubes and automation systems for the steel industry. Fives now employs close to 500 people in Italy, across 7 sites located in the Po Valley, with operations in grinding machine development (Cinetic Giustina), sorting solutions (Cinetic Sorting), and tube & pipe mills (Fives OTO).